The port network of the Central Adriatic Sea includes the ports of Pesaro, Falconara M.ma, Ancona, San Benedetto del Tronto, Pescara and Ortona, located in Marche and Abruzzo regions. 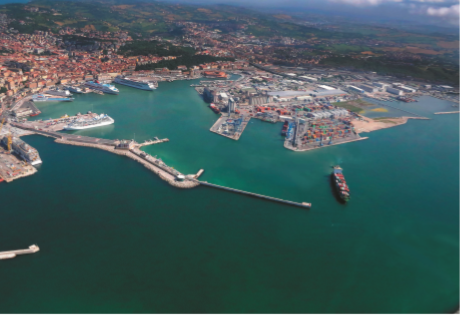 The ports are managed by the Central Adriatic Ports Authority and provide cruise services in Ancona, Pesaro and Ortona. The three ports are the gateway to discover the hearth of Italy and the best hotspots for a genuine full immersion in the true Italian lifestyle. Rich in history and extremely various, mountains, hills and beaches are concentrated in a relatively small territory characterized by beautiful natural landscapes, preservation of the environment and cultural heritage. 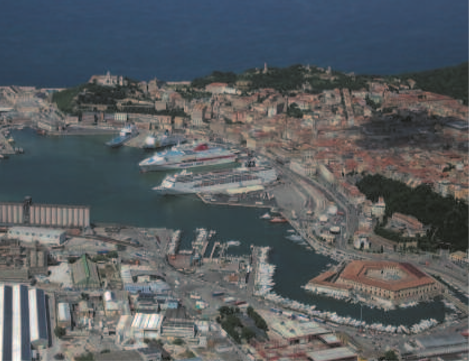 The port of Ancona welcomes cruise passengers with its historical center just few steps away from the cruise terminal. The ruins of the Roman port, the Trajan arch, the medieval walls and the buildings designed by the Vanvitelli are relevant tourist attractions, together with the archaeological museum and the recently reopened art gallery. The Passetto beach is a wonderful place to spend time at the seaside, surrounded by the green hills along the coast. Close to the town, the Conero Riviera and its natural park oﬀer wonderful beaches and nature. From Ancona, the system of caves of Frasassi and the town of Jesi can be easily visited, as well as Umbria region (Assisi, Gubbio, Perugia), thanks to recent road improvements. Pesaro is the birthplace of the famous opera composer Gioacchino Rossini and was included in the list of the UNESCO creative cities thanks to its contribution to the development of the music tradition: the Rossini opera festival and the network of music and cultural attractions oﬀer a lively programme of events of international relevance. The city centre of Urbino, UNESCO World heritage site, can be reached both from Pesaro and Ancona ports. The relics of Saint Thomas the Apostle are preserved in a beautiful cathedral in Ortona. Rich in history, the Aragonese Castle is located on the edge of the city, overlooking the sea. Nearby, Pescara is a lively city for shopping and to enjoy local food specialties. Many other site wait to be discovered!